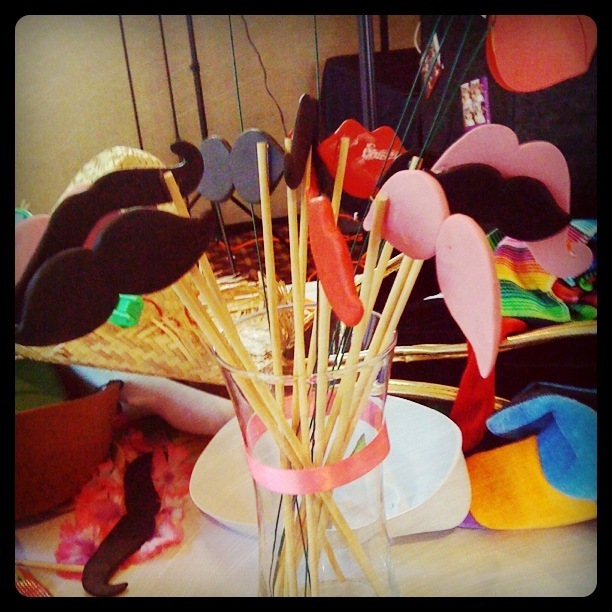 New bride, Kim, asked me to make clay lips and mustaches like the ones by The Wedding Chicks for her photo booth. I like that clay props are more durable than paper, plus I’ve never worked with clay before so it was going to be a fun experiment. 1. Roll a segment of clay into a ball and flatten on a flat surface. 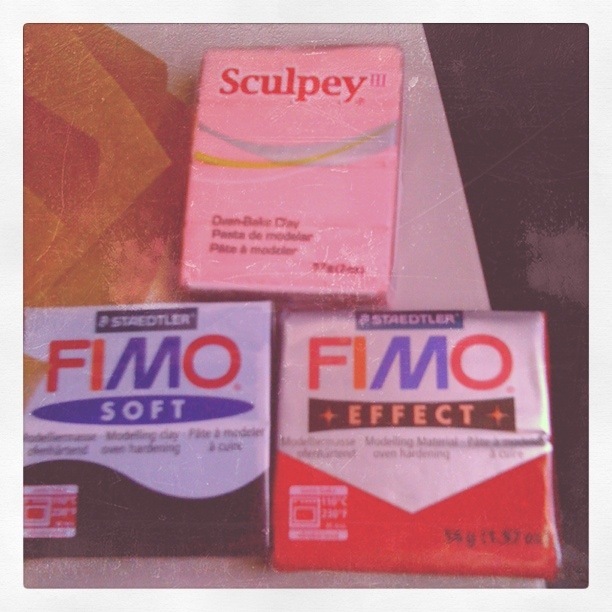 Optional: use parchment paper or plastic wrap to prevent the clay from sticking to the work surface. 2. Mustaches – Use two balls for “The Captain” and “The Villain” type mustaches. Form into two leaves and pinch together. Form longer leaves before curling ends. 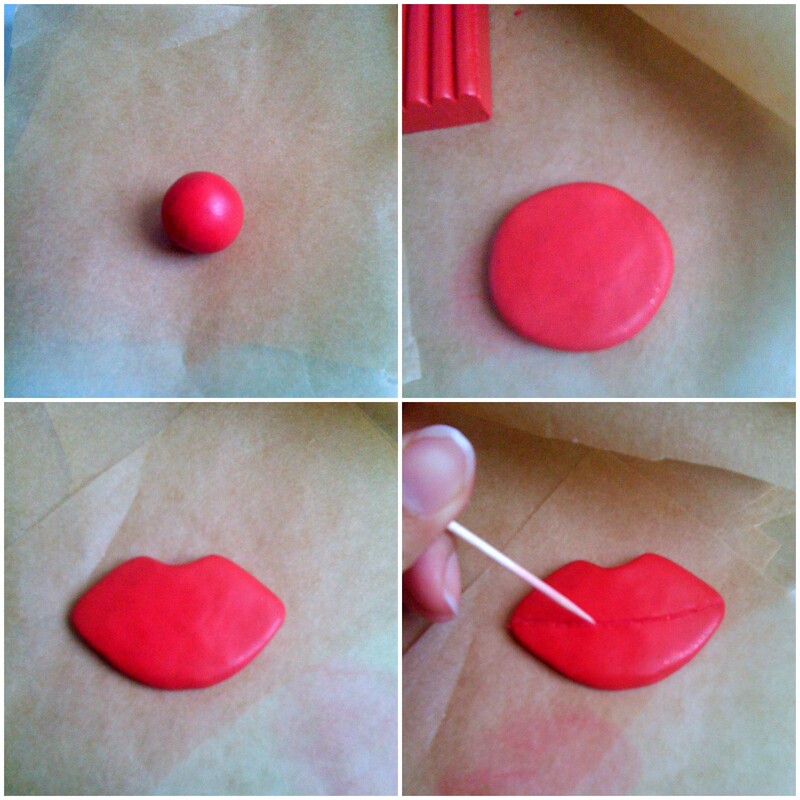 Lips – Pinch and pull two sides into a lip shape. Push a dent into the top. Optional: place a piece of parchment paper on top of the mustaches/lips to smooth out lumps/fingerprints. 3. Use the toothpick to draw hair/lip lines as desired. 4. Use the templates as guides for shaping the remaining balls into mustaches and lips. 5. Preheat oven to 225°F. 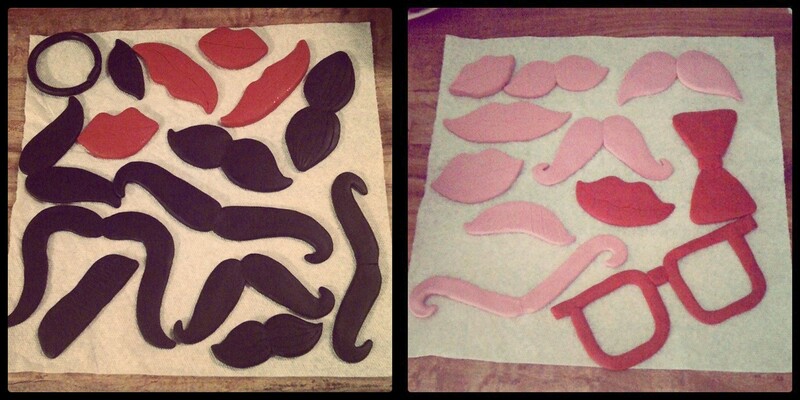 Place mustaches and lips on pyrex and bake for 20 minutes. Let cool. Note: clay does not expand. 6. 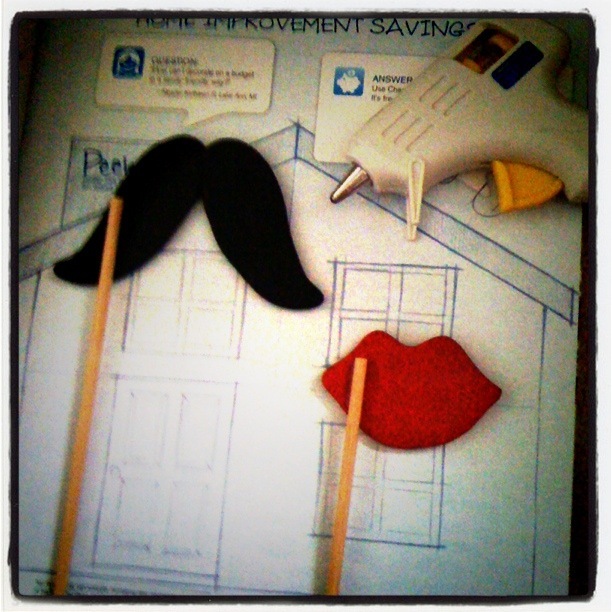 Attach the wooden stick to the side of the mustaches and lips using a hot glue gun. 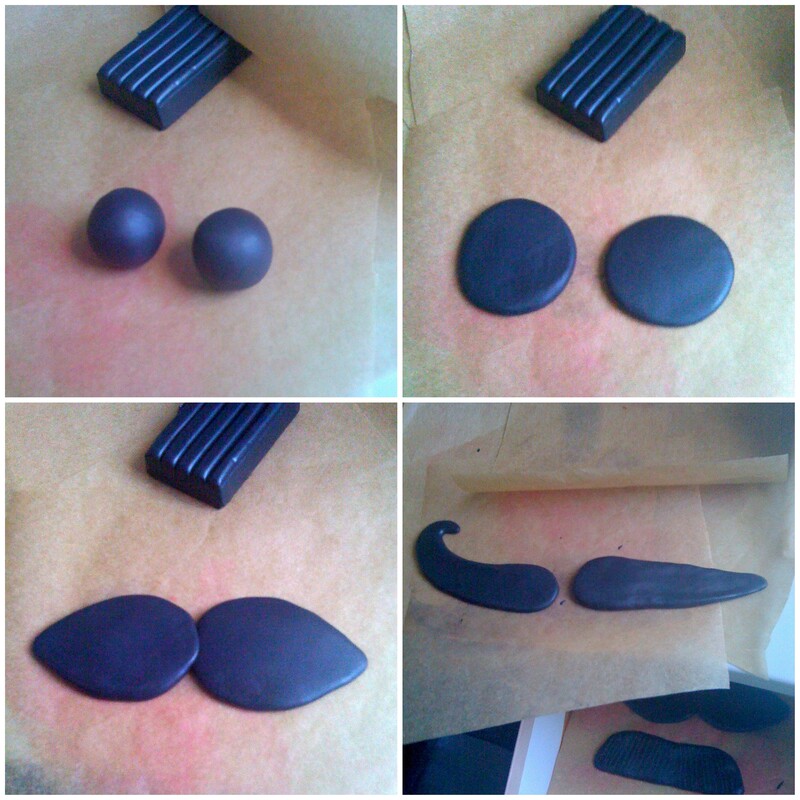 3 blocks of black FIMO Soft, 2 blocks of red FIMO Effect, and 2 blocks of pink Sculpey made 15 mustaches, 8 lips, a bowtie, a pair of glasses, and one monocle. Way more than was needed so I only put out 16 of the mustaches and lips. This entry was posted in Crafts, Decorations, Weddings and tagged clay, Photo Props. Bookmark the permalink. awesome. I like the glasses, too! 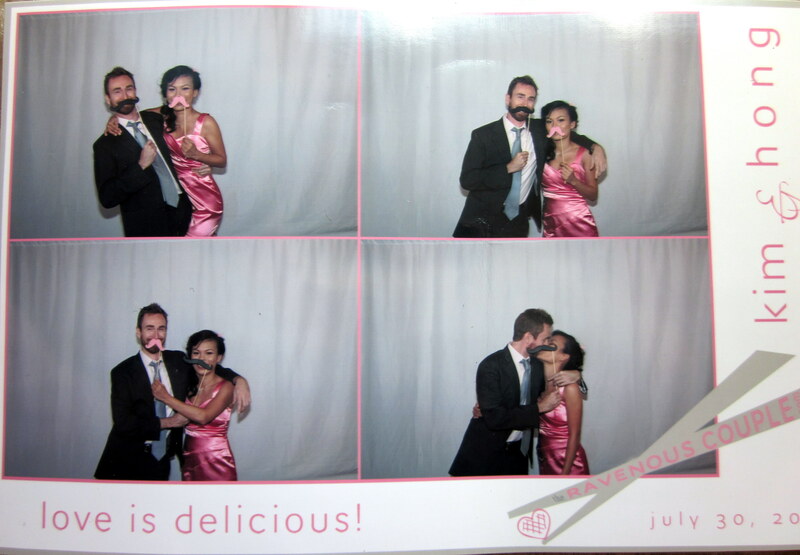 plus the pics of you guys are too cute. now back to proper beer drinking!